The toy retail chain, which has a significant worldwide footprint, filed for bankruptcy in the US and Canada last month, in the face of mounting pressure to compete against online rivals such as Amazon. However, the battle isn’t over yet, and the once-dominant player is looking to lure shoppers back into its stores in the run up to the festive season with the launch of a new augmented reality app. Made hugely popular by the phenomenal success of surprise hit Pokémon Go last summer, AR has more than proven its worth with consumers. The expert blending of digital assets with real-life environments is a powerful combination, and it’s continuing to attract audiences through interactivity opportunities and value-add information delivered in very visual formats. 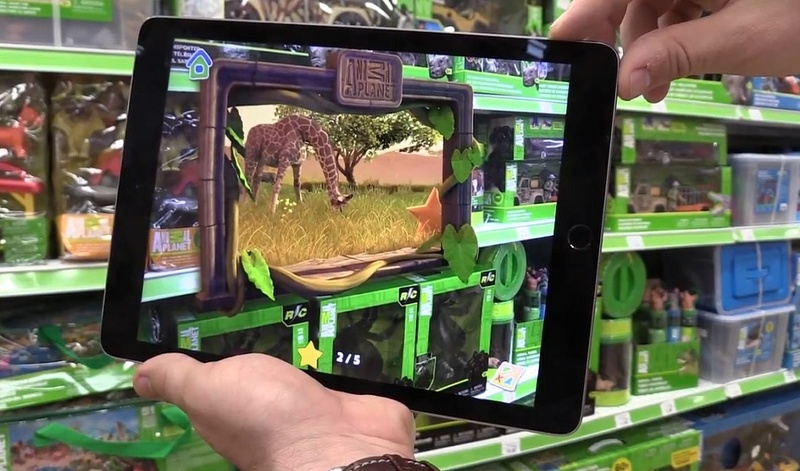 Toys R Us is the latest in a recent list of big-name brands to flock towards this ever-evolving immersive technology to enhance the shopper experience, following closely behind the likes of Star Wars and IKEA. 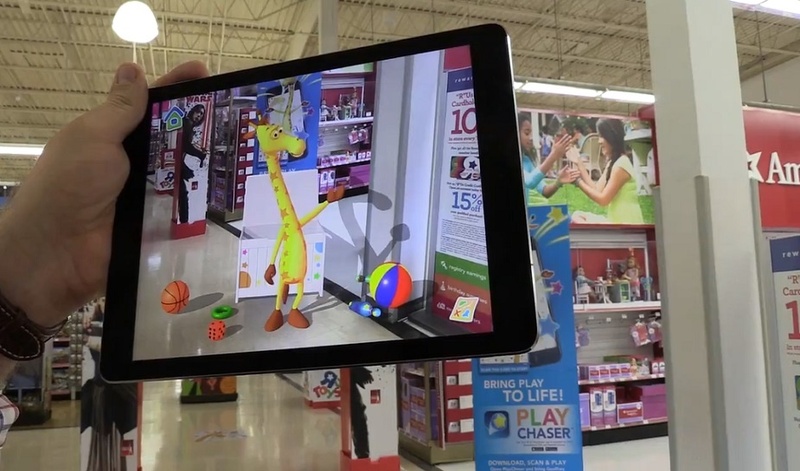 The retailer’s new free-to-download AR app, Play Chaser, allows users to scan signs scattered throughout selected stores, all of which unlock cool content including mini-games and fun playing experiences. Available on iOS and Android, the app offers the chance to experience games like virtual basketball and a baby nursery, with the company’s mascot, Geoffrey the giraffe, central to navigating the brand experience and sending on different in-store missions. Completed activities unlock stars, and the more stars collected, the more content is unlocked. 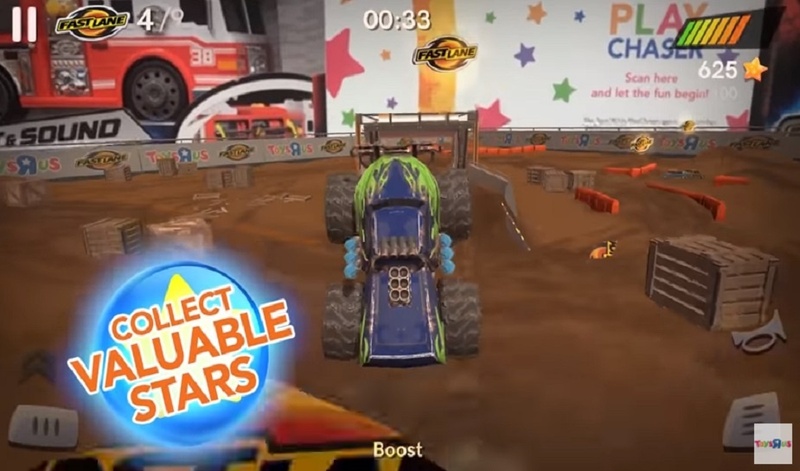 Users can play against others locally, and nationally for some games, and see their high scores logged on an in-app leaderboard to fire up the competitive spirit. It’s an interesting move, placing so much emphasis on AR technology to attract shoppers through the door in the essential lead up to Christmas. We’ll just have to see whether the gamble pays off or if it’s sadly a case of too little, too late.